For many, our vehicles are an extension of ourselves. Most of us invest thousands of dollars into vehicles which enable us to travel to our jobs, transport our families, and efficiently go about our daily lives in safety and comfort. Consequently, the Legislature has created various crimes involving the possession and theft of motor vehicles. Likewise, police and Prosecutors take these charges extremely seriously. They are ready and willing to convict defendants of serious felonies. 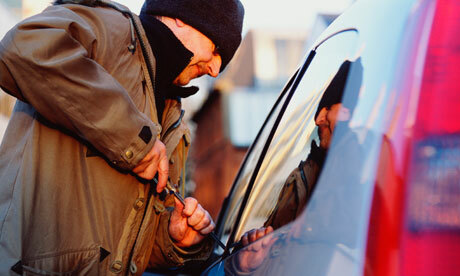 A person commits theft of a motor vehicle by stealing a vehicle regardless of the value of the vehicle. Theft of a motor vehicle is a class B felony punishable by a maximum of 10 years prison and a $20,000.00 fine. A person commits possession of a stolen motor vehicle by possessing a stolen vehicle regardless of the value of the vehicle. Possession of a Stolen Vehicle is a class B felony punishable by a maximum of 10 years prison and a $20,000.00 fine. A person commits TMV 1st Degree by intentionally taking a vehicle without the permission of the owner and alters the vehicle for the purpose of changing its appearance or identification, removes parts with intent to sell them, takes the vehicle across state lines for profit, or otherwise intends to sell the vehicle. TMV 1st degree is a class B felony punishable by a maximum of 10 years prison and a $20,000.00 fine. A person commits TMV 2nd degree by intentionally taking a vehicle without the permission of the owner or by voluntarily riding in a vehicle with knowledge that the vehicle was unlawfully taken. TMV 2nd Degree is a class C felony punishable by a maximum of 5 years prison and a $10,000.00 fine. Motor vehicle theft tools can include the following: slim jim, false master key, master purpose key, altered or shaved key, trial or jiggler key, slide hammer, lock puller, picklock, bit, nipper, or any other implement shown by facts and circumstances to be intended for use in motor vehicle theft. Making or Possessing Motor Vehicle Theft Tools is a gross misdemeanor and punishable by a maximum of 365 days in jail and a $5,000 fine. If you or someone you care about is charged with a Motor Vehicle Theft or Possession crime in Skagit County or Whatcom County, call attorney Alexander Ransom today for a free, no-pressure case evaluation. Alexander has a reputation in the legal community as an aggressive, effective and experienced criminal defense attorney. He is here to assist you through these difficult times.